A zesty and creamy dressing that goes perfectly with Baked Falafel. Add all of the ingredients to a food processor, blender, or thermomix and process until smooth and creamy. Refrigerate until you’re ready to serve, the dressing will get thicker as it chills. 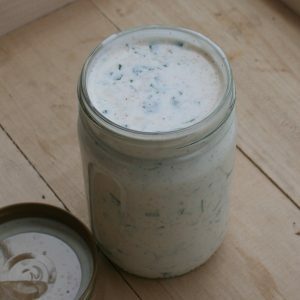 This dressing will keep for approximately 5-7 days in the fridge.